Courtesy of Murphy & Murphy SoCal Realty, Chris Murphy. Sellers will entertain offers between $750,000-$820,000. 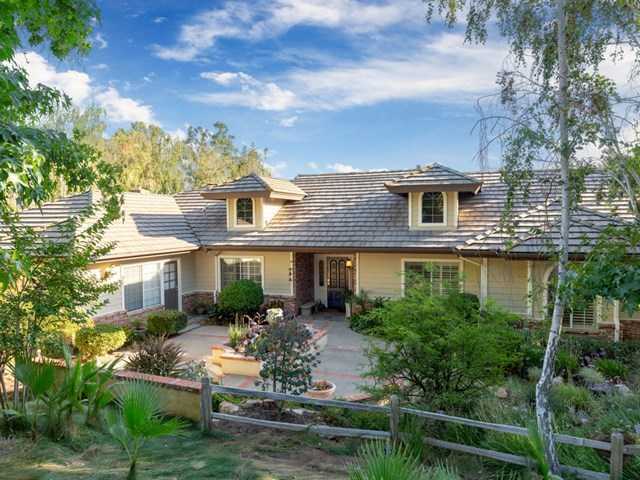 Gentle 1.1 acre park like setting w/ lush mature landscape welcomes you from the moment you enter the property. This truly traditional home will both excite & calm you w/ its rural charm. Architectural exposed brick throughout, distinctive coffered, vaulted or exposed rough hewn wood ceiling in every room, spacious farmhouse kitchen & true master suite/retreat. Truly a quality custom built home. Private location, minutes to the 15 fwy & hwy 76. Please, send me more information on this property: MLS# 190019886 – $820,000 – 1059 Schuller Ln., Fallbrook, CA 92028. I would like to schedule a showing appointment for this property: MLS# 190019886 – $820,000 – 1059 Schuller Ln., Fallbrook, CA 92028.